I love to try and change something functional into some gorgeous but still functional and I think I may have managed it with this lovely coin purse. 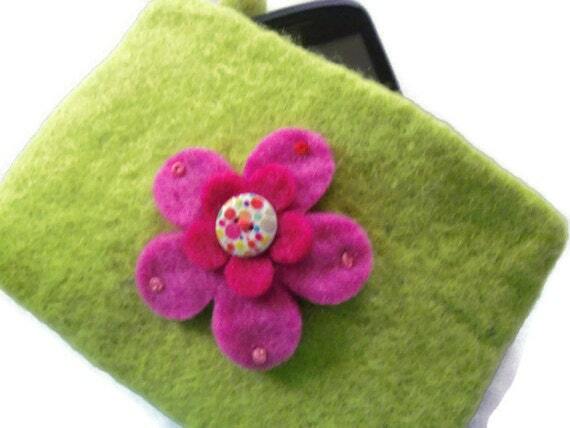 The purse and the flowers are 100% wool felt. It is lined with lime green cotton fabric, has a lime green zip fastening with a felted bobble detail to aid opening of the purse.